GN provides air-operated double-diaphragm pumps and accessories. Now we have inquiry for Air compressor driving the diaphragm pump. Welcome air compressor manufacturer to contact us for cooperation. 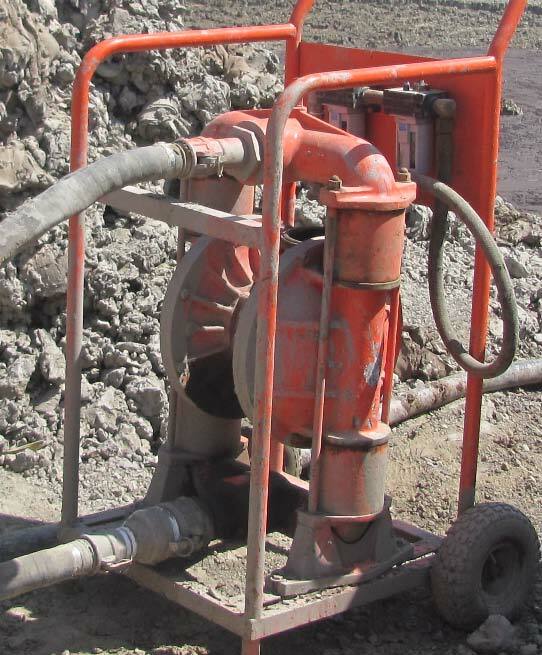 What is Air Diaphram pump? An Air Diaphram pump is a positive displacement pump that uses a combination of the reciprocating action of a rubber, thermoplastic or teflon diaphragm and suitable non-return check valves to pump a fluid. Sometimes this type of pump is also called a membrane pump. have good suction lift characteristics, some are low pressure pumps with low flow rates; others are capable of higher flows rates, dependent on the effective working diameter of the diaphragm and its stroke length. They can handle sludges and slurries with a relatively high amount of grit and solid content. have good dry running characteristics. can be used to make artificial hearts. are used to make air pumps for the filters on small fish tanks. can be up to 97% efficient. have good self priming capabilities. can handle highly viscous liquids. Before any maintenance or repair is attempted, the compressed air line to the pump should be disconnected and all air pressure allowed to bleed from the pump.Disconnect all intake,diacharge and air lines.Drain the pump by turning it upside down and allowing any fluid to flow into a suitable container. Extended technical resources provide information about diaphragm technology and products，pls contact GN solids control. I work for a Power Utilities company and we are looking to purchase a Diaphram Pump. Can you guide me to where I can ask about procuring a 3″ Diaphragm Pump?